Taeyang is the stage name adopted by South Korean singer, Dong Youngbae. This 23 year old star is now a solo artist, but he made his musical debut with the band, Big Bang, in 2019. He has taken several Korean Music Awards during his career. Let’s take a look at Taeyang mohawk haircuts. The Mohawk seems to be Taeyang’s favorite way to wear his hair. He does not shave the sides completely smooth, but has them cut as close as possible without using a razor to shave them. This means a clipper with the blades set to a minimum length and no guards. The stripe of hair left in the center has changed somewhat from time to time. He has worn it as narrow as one inch to as wide as the crown of his head. The length is kept short, not typically going more than 2 inches. This section is not smoothly cut with clippers. A straight razor is used to establish the length of the hair left in the center. This creates a textured appearance because the lengths of the strands are not uniform. Some are left just a fraction longer and some a fraction shorter. The hair also fades to a shorter length as it moves toward the back of the head. Hair gel is usually strong enough to provide all the hold he needs with his cut this short. 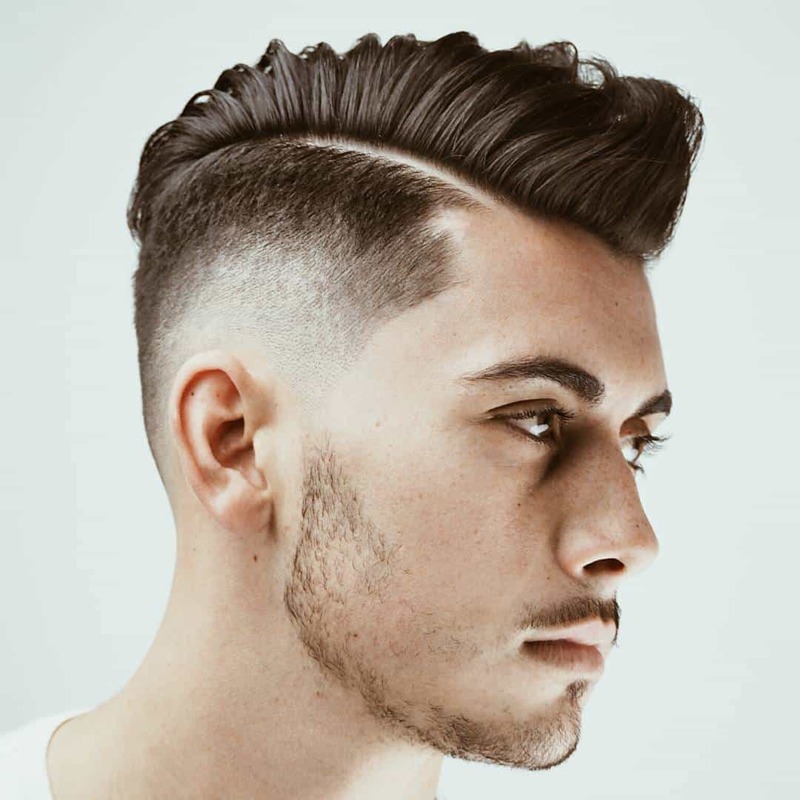 He can style it so that it stands up in a short fan or allow it to lay forward just a bit. The Taeyang short razored Mohawk haircuts create a style that is truly his own. This is a look that works well for him. It allows him to look tough when he has a serious face or extremely fun loving when he smiles. this looks like a nice cut… what kind of face will go with this? round, oval, rectangle…etc? will this hairstyle look good with anyone? Definitely. In my experience, a lot of guys that I see with a faux hawk or mohawk style do look good in them. There are MANY different variations in the two styles, if you are worried about looking like every guy with the style. It is amazing how popular this hair style has gotten since I remember it being kinda rare for a guy to have it, but around 2007, it started to get big. Itz one f the mst amazing cuts..
and taeyang makes it look gr8 wth hs serious expressions…!! What about the newer hairstyle of his? The long hair that is pointed up kind of like a spiky look but not it at all. Where’s that hairstyle?